There's a good chance it was raining or snowing or generally crappy outside this weekend, so no doubt, you were looking at cars for sale. Bad weather seems to rationalize some ruinous car-buying choices, which is probably how anyone still buys something like a 25-year-old supercar. Allow me to make a couple of them sound totally rational to you. High on your list of GT cars should be the Porsche 928. People go on and on about how the 928 was so misunderstood and overshadowed by the 911, but this V8 brute must still pick up plenty of buyers in the used car market because prices are a lot higher than I remember them being. Some of that must be the result of fewer clean ones around now that it's getting on 20 years since these cars were last sold. But you can still find a good, reasonably (sort of) priced one out there, such as this 1989 928 S4 from the rust-free part of of the country. I've always loved the 928, and they're growing on me even more now. They were properly powerful, with the S4 getting a 5.0-liter V8 and 320 horses – nevermind the autobox here. It's practical, too, with four seats and a hatch. And for $22,000, a Cayenne at this price would be so ordinary, so much trouble and so awful to look at. In fact, things would be great if not for 2 styling issues with this car. 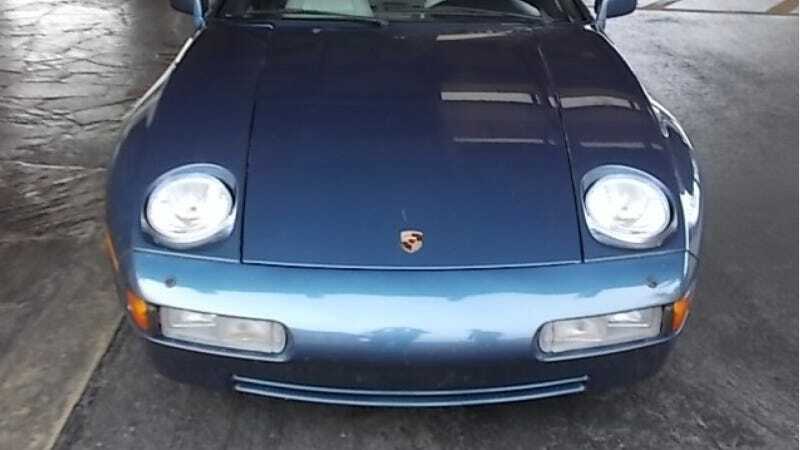 First, I'm not a big fan of the shade of blue on this 928, if only because I had a model of a 928 S4 in my room as a kid and it was bright red and that's the color all 928 S4s should be. But crucially, this car has the awful sin of chrome wheels, which don't look good on your aunt's Chrysler PT Cruiser and look really bad here. And, of course, you'll get people questioning why you bought a 928 instead of a 964 of the same vintage. There is no question about the beauty of an Aston Martin DB7, though. People may try, but it's kind of hard to totally spoil the car with a bad paint color or set of wheels. And they're pretty rare compared to Porsches and Ferraris of this vintage. So something like this 1997 DB7 Coupe that was owned by some celebrity (someone with the good taste not to modify it to hell), if that matters to you. Yes, it's an automatic like the 928, but we're not talking about track cars here. This is a GT and you can't get much more GT-ish than an Aston. Since this is one of the earlier DB7s, it gets the 3.2-liter supercharged straight six with 335 horsepower, or roughly what the S4 made in the late-'80s. We can also have an argument over the switchgear, but because it comes from random Fords of the same period, let's just say it's "Not German" and move on. It's 35 grand, too, so less of a value proposition than the 928 featured here. I love the DB7, but I really like the later V12s that have more grunt, more exclusivity and are a little more insane. The 928 is the one I'd go for here, as I can live with the color and I could get rid of those chrome wheels in a split-second. Because, after all, these cars are in really nice shape and relatively well-priced for the supercars they are. See? Logic here.